Netflix has been seeing some huge success with their original programming over the last several years and as of late they have been making a big push to get into the film game as well. 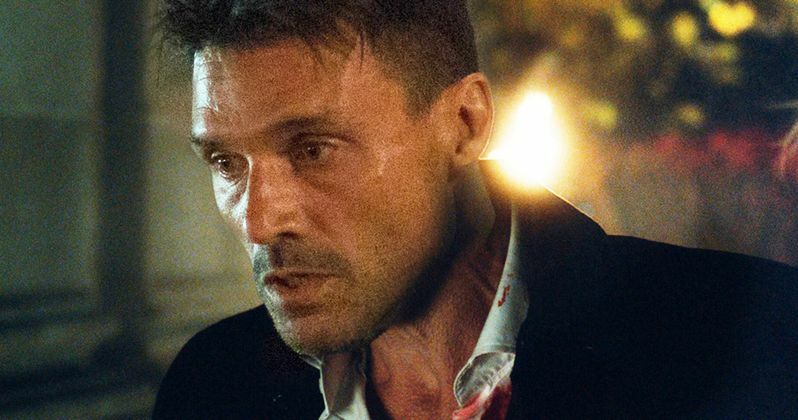 The streaming service just closed a deal at Cannes to distribute a new action/thriller called Wheelman that has Captain America and The Purge star Frank Grillo attached to star in and produce. Netflix reportedly closed the deal for $10 million, with filming set to begin later this year. Grillo will be reteaming with Joe Carnahan, who directed him in The Grey alongside Liam Neeson, though Carnahan will be on as a producer as opposed to a director for Wheelman. Instead, the relatively unknown Jeremy Rush will be directing from a script he wrote himself. The synopsis for the film echoes a similar tone to films like Drive and Getaway. In the movie, the wheelman is Grillo - a getaway driver thrust into a high stakes race-to-survive after a bank robbery goes terribly wrong. With a car full of money and his family on the line, the clock is ticking to figure out who double-crossed him, and the only person he can trust... his fourteen-year-old daughter. All reasons to think fast, and drive faster. Though the plot for the film seems very familiar, films like these run the table in terms of quality, so it is hard to tell just how this one will turn out. Netflix, however, has a pretty great track record with their programming thus far with Beasts of No Nation garnering a ton of praise from both fans and critics, though it had trouble securing a lot of attention during awards season due to its lack of box office performance. The team behind the film is promising as well, with Carnahan generally turning in very entertaining action films and Grillo really helped to elevate The Purge franchise with his presence in The Purge: Anarchy and what we've seen from The Purge: Election Year looks promising as well. Most recently, Grillo was seen alongside Chris Evans in Captain America: Civil War as the villain Crossbones, which was something of a reprisal/continuance of his character from Captain America: The Winter Soldier. After playing a relatively small but important part in one of the largest franchises around, it makes sense that Grillo would make the leap to a starring role. Grillo has also been a regular on the MMA series Kingdom. Netflix is also reportedly close to closing a deal to distribute the film Sandcastle, which stars Henry Cavill, Nicholas Hoult, Tommy Flanagan, Glen Powell and Logan Marshall-Green. The streaming service will reportedly be paying $13 million for the Fernando Coimbra-directed drama. In addition to the deals that Netflix is closing at Cannes, they also recently put up a surprising $90 million dollars for the David Ayer directed fantasy action film Bright, which will star Will Smith and Joel Edgerton and was written by Max Landis. There is no word yet on when Netflix will be looking to release Wheelman.